Things are looking up for Samsung’s foldable phones, with the South Korean giant apparently showing off its goods to select clients at the CES 2018. The prototypes must be pretty far along if it’s ready for a private unveiling at a big tech conference. Samsung appears to be very confident about the chances of getting its long-in-the-works bendable handsets off the ground, sharing a production and launch schedule with its partners. 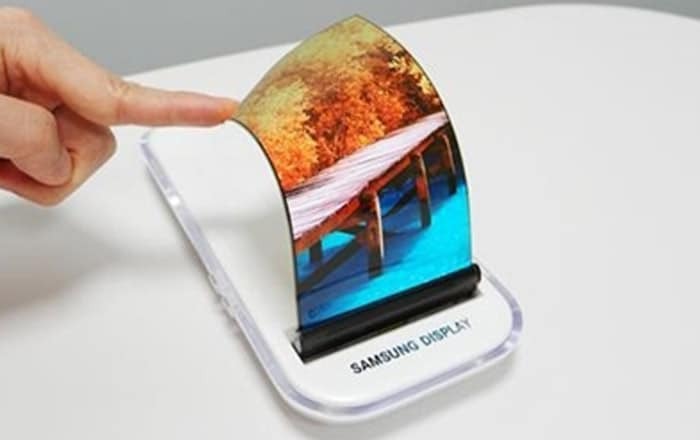 An industry source told ET News that Samsung Display will begin production of a 7.3-inch foldable panel later this year. It seems Samsung showed off both its infolding and outfolding handsets at the hush-hush meeting. Patents filings for the so-called Galaxy X in the past have provided a glimpse into both types. The former is said to have a more drastic curvature rate compared to the latter. Samsung’s outfolding smartphone ostensibly suffer from some sort of durability issue, so it’s been pushed back to a later generation. That leaves the infolding device to take up the mantle of the brand’s first flexible phone. A source claims that development is almost finished, raising expectations for its launch. A previous report had claimed that the manufacturing process will begin from November 2018. This leaves the door wide open for an early 2019 release. Samsung may not be the only firm with bendable handsets by then. Rumor has it that many companies decided to unveil foldable wonders behind closed doors to gauge the market reaction.